SBTRKT (pronounced as “subtract”) is the stage name of London musician/producer Aaron Jerome. He’s remixed M.I.A, Radiohead, Modeselektor, Basement Jaxx, Mark Ronson, Underworld and Goldie, and has released singles, EPs, and a self-titled album. 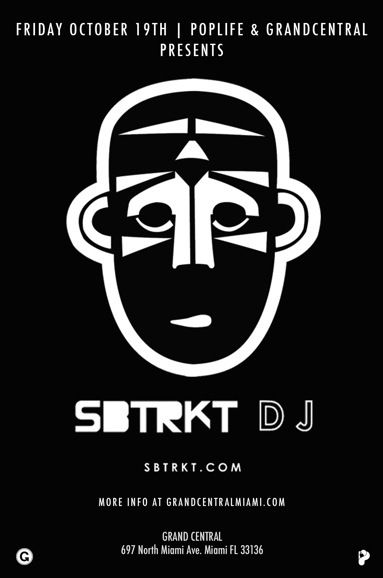 SBTRKT’s music is a mixture of two-step, UK funky, dubstep, US RnB and Chicago house. SBTRKT is an alias used to support the concept of anonymity. 3. The winner will be chosen on Thursday, October 18th at 5pm.